Thank you to Designer Pages 3 Rings for featuring our new Plaids and Ginghams Collection. Click here to connect with Designer Pages on Facebook or follow @designerpages on Twitter. 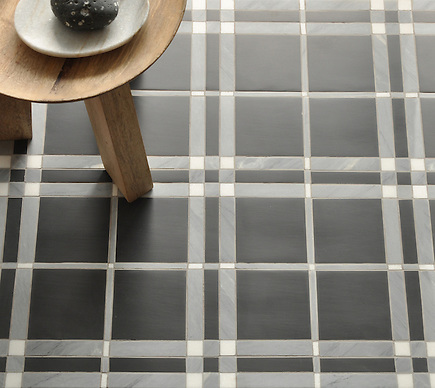 McIntyre, a stone mosaic, is shown in Thassos, Bardiglio, and Nero Marquina honed. McIntyre, a stone mosaic, is shown in Driftwood, Botticino, and Bianco Antico honed. 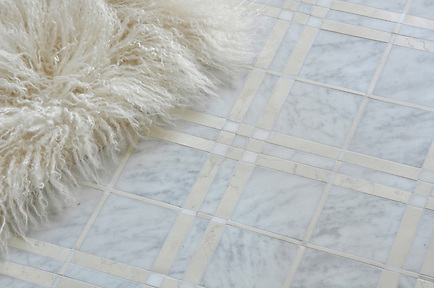 McIntyre, a stone mosaic, is shown in Carrara, Bianco Antico, and Heavenly Cream honed. 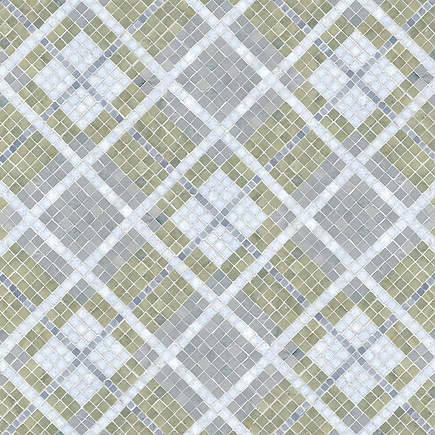 Plaid, a stone mosaic, is shown in Bardiglio, Celeste, Verde Luna,and Kay’s Green polished. To see more Plaids and Ginghams, click here. 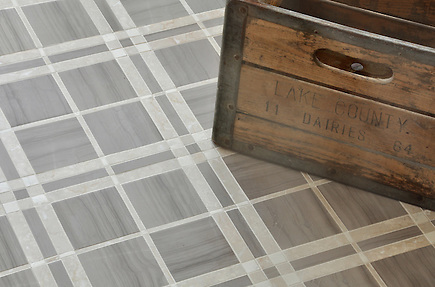 Check out what else is new at New Ravenna by clicking here. Please share your thoughts by clicking the social links below.